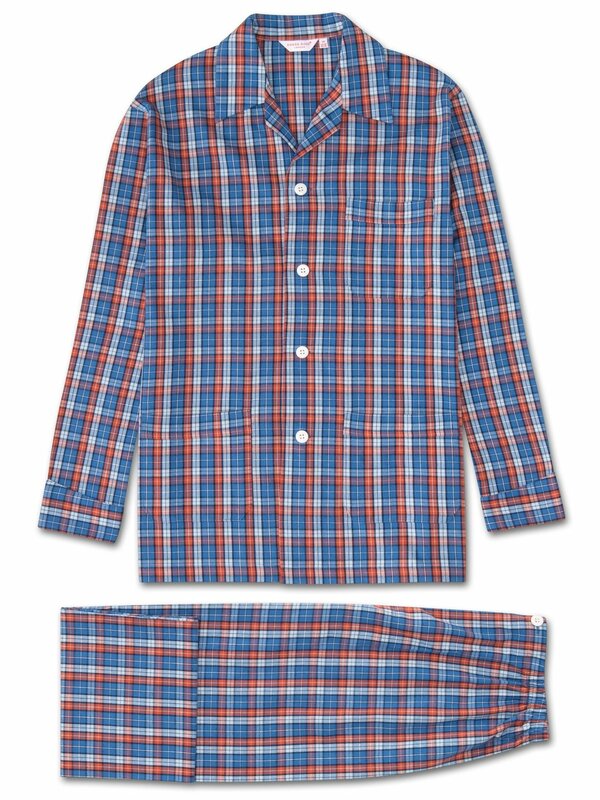 One of our most popular fabrics, this season our signature Ranga 35 design comes in a small scale check in multiple colours of orange, blue and white. Ideal for the cooler months, this modern classic will last the years. Trust us, you'll want to jump into this pyjama set as soon as you get home. Crafted from a medium-weight brushed cotton, the Ranga 35 fabric utilises a unique brushing technique to comb and soften the fibres for an extraordinarily soft handle.